The innovative packaging solutions resulting from Toly Product’s recent partnership with Sussex IM will be showcased at Luxepack New York 2019. Beauty Smart with cup F11, cap & base made of ABS, which is durable material that could be transformed into various decorations. Praised for her lightweight and perfect closure system, the new beauty smart lipstick packaged in a luxurious gold case, create a sleek but practical design. MakeUp in Shanghai Expertainment: All the experts of the Asian Beauty Market in this conference program! MakeUp in Shanghai, that will be help the 10 & 11 April 2019 at the Shanghai Exhibition Center will provide you with a comprehensive knowledge about a super dynamic region, a fantastic networking opportunity with cutting-edge brands and a unique occasion to discover new trends and innovations. 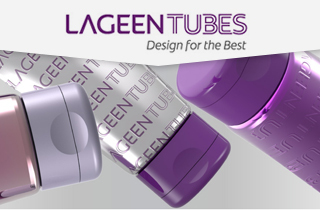 Careline, a cosmetic and toiletries company, who delivers a wide range of products to allow accessibility to each and every one, has chosen LageenTubes’ 360° Unlimited Design Freedom tubes for its Careline Spring hand cream collection. This is an innovative design from COPCO. Double injection makes the PET bottle appear two different colors inside from outside, along with the heavy wall, it reflects a sense of luxury and elegance of the products. Dressed in red for the very first time, CHANEL N°5 LIMITED EDITION enhances the exclusive expertise of Verescence in producing red glass. The iconic N°5 red glass bottle, available in 100ml, has been manufactured at Verescence’s glass manufacturing site in Mers-les-Bains (France). Luxe Pack Shanghai 2019, taking place 10th & 11th April, features the widest range of creative and luxury packaging solutions represented at any event in Asia. The event unites the biggest high-end producers and buyers of premium packaging from all over the world. Over 30 percent of customer buying decisions are made based on packaging. Dull, generic, and nondescript packaging can cause people to overlook a product completely. This is why packaging companies are constantly trying to innovate and improve designs. The evolution of established brands, like Coke, Lays, and General Mills all contain numerous design changes. In our current society, an emphasis is being placed on sustainability and technological leaps. Luxury packaging must include new solutions to problems and effective branding. There are numerous creative packaging companies out there, some familiar and others unknown. These are the very best ideas we have seen in action. Beatson Clark has produced three new bespoke glass containers for Cottage Delight as part of a rebrand for the specialist food manufacturer. To widen its customer base, particularly among millennials, Cottage Delight asked Beatson Clark to work with its own design agency and produce three bespoke glass containers – a 12oz jar, an 8oz jar and a 220ml bottle. Crown helps Nicolas Feuillatte enthusiasts enter "The Enchanted Land"
Nicolas Feuillatte Champagne has once again turned to Crown Aerosols & Promotional Packaging when looking for the ideal packaging solutions for its latest champagne creations. A continuation of the long-standing working relationship with the famous French luxury champagne producer, Crown’s elegant metal tins for the fresh and dynamic Réserve Exclusive Brut and the expressive and light Sélection Brut, invite consumers to discover the very terroir that went into the champagne’s making. The recently incorporated IBN series is one of Glasel’s injection stretch blow molding collections that features an elegant shape with an exquisite design. Jewelled decoration on cosmetic packaging has long-been in high demand by consumers. Lending a similar effect to that of diamond cutting and sparkles, Yuga's latest introduction of an engraved aluminium component to its range of lipstick packaging decoration achieves a rich and shiny finish. Easyfairs, the multi-format event organiser and venue owner, is pleased to announce the launch of a new exhibition, PLD – Packaging of Premium & Luxury Drinks, that will bring together designers, innovators and suppliers of packaging in the international premium and luxury drinks markets. The first edition of the event will take place on 29 & 30 January 2020 at Paris Expo, Porte de Versailles and will be co-located with ADF&PCD. What an exceptional bottle! Having already won a German Design Award, this striking, feeder black whisky bottle gained international recognition at the WorldStar Awards. It resulted as winner in the category “beverages” for its design and the perfect technical execution of the demanding feeder coloration, as well as for the embossing of “Viking Runes”. "Level up" your products with metal accessories! YUGA jazzes up anodized metal lipstick packs with hot stamping!